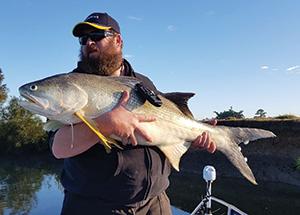 Ben Monro nailed a 116cm threadfin on a Berkley Gulp Alive Crazy Legs. This solid tailor came from the Brisbane River. The author caught this 97cm jewie at sunset in the Brisbane River recently. Mangrove jack will be active towards the end of the month. Back in June this one ate the author’s plastic on a deep rock bar. 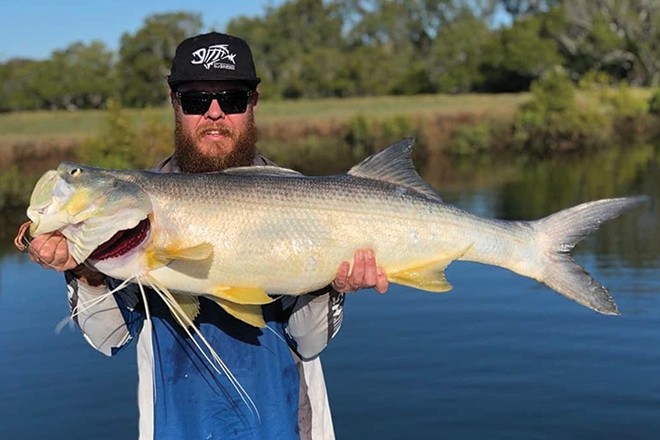 Big Phil landed this big threadfin recently. It stretched the tape to 120cm. 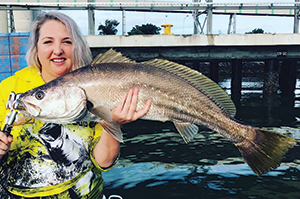 Ashlee Levy jigged up this 88cm jewie on a Zerek Fish Trap in the Brisbane River. IT’S been a really good winter for fishos in southeast Queensland and this month should be no different. August is generally a very productive month for a wide range of species. 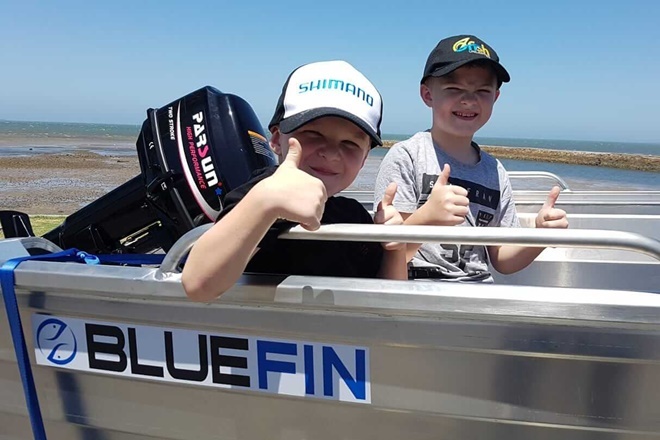 The local flathead run will still be going strong and the jewfish and threadfin will remain active for anglers fishing Brisbane’s rivers and creeks. Good numbers of quality grunter are turning up in some of the rivers around Brisbane, so hopefully a few will still be around during August. This month also signals the start of the flathead spawning season on the Gold Coast. 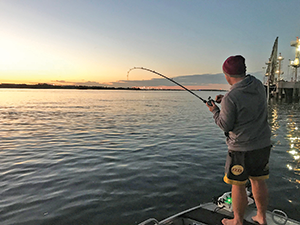 A lot of big fish will make their way into the deep water towards the bar entrances and the action can be hot at the start of the season before the fish get bombarded with lures. 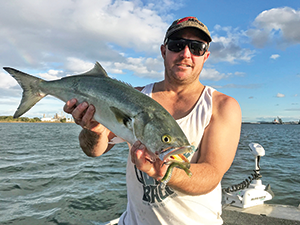 The Brisbane River has been producing quality fish, with jewies, tailor, flathead and threadfin salmon all turning up regularly. 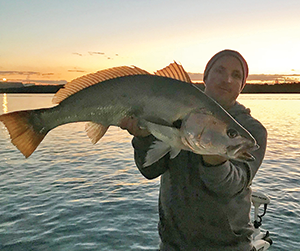 Fishing Brisbane’s rivers and creeks has resulted in red-hot sessions this winter. Jewies, flathead, grunter, bream, tailor and big threadfin have all shown up quite regularly. Flathead have been the most common species encountered and their average size has been really good, with plenty of fish in the 60-70cm range. They haven’t been shy either, eating just about every type of lure thrown at them. Paddle tails, curl tails and prawn imitations have all worked well. Soft vibes have also been productive, with the popular Zerek Fish Traps doing a lot of damage. If one type of plastic isn’t producing, it’s worth mixing it up and finding out what they want to eat on the day. Big threadies have been encountered by anglers fishing Brisbane’s smaller rivers this winter. They cop a flogging from the netters when they are in numbers, so hopefully they dodge them and we can keep having some fun. Threadies are really exciting to catch in these rivers. They can be a real challenge with their crazy speed and directional changes. However, they can also be frustrating to keep a hook in and if they swallow the lure they can rub through the leader in a split second. They are a lot harder to land in shallower systems than the deep water of the Brisbane River and the fight is much more challenging. Threadfin eat a variety of lures including soft vibes, hard-bodies and a wide range of soft plastics. Just like most species, it’s more important to get your offering into the zone. Threadies can move around a fair bit and it’s not uncommon to find them in completely different areas from day to day. They are particularly fond of deep holes, especially those that hold good numbers of bait. These holes are always a great place to start looking because they hold just about every type of fish available. 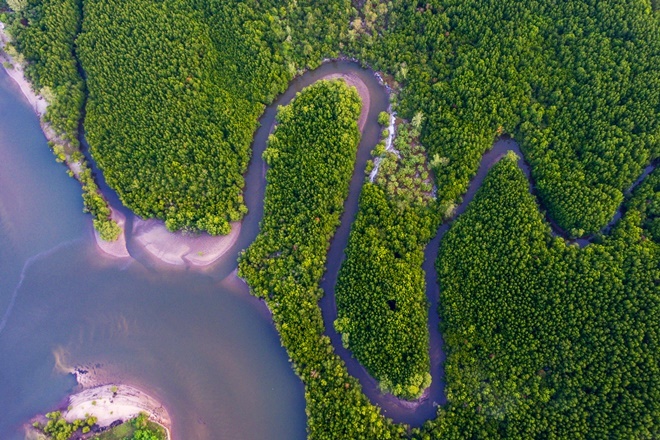 Holes aren’t the only area to find threadfin. They can turn up in places you would never think of, so it’s worth having a good look around and trying different things. Small things like back eddies behind fallen timber and rock bars are enough to hold them. Once again, these areas work even better if bait is present. Jewies have been plentiful in the rivers and creeks, but their size has been disappointing. Other than in the Brisbane River, it’s been hard to find a legal fish among the rats. The good news is these smaller fish have been in big numbers. On a recent trip I found a school of fish sitting under a boat, which turned out to be small jewies around 65cm in length. I managed eight fish from eight casts by skipping a Berkley Gulp Alive Crazy Legs next to the boat and allowing it to sink under it. The fish were hungry and it was good fun on light gear. Some of the jewies have been as small as 30cm, which is a really good sign for the future. Grunter have been the surprise this winter. They were in big numbers during June and on a couple of occasions we managed up to 15 fish per session. Most were between 40cm and 50cm, with a few stretching into the mid-50cm range. Hopefully they hang around during August as well because they’re a heap of fun and they are one of the tastiest fish you will come across when fishing Brisbane’s rivers. They eat a variety of lures but getting a solid hook-up is the hardest part. They are really good at grabbing the tails of plastics and missing the hook. Scent works well for grunter because it will keep them coming back until they find the hook. The Brisbane River has fished well through winter. Jewies have been a standout, along with huge numbers of tailor and the odd big threadfin salmon. I haven’t been chasing snapper in the Brissie at all, but I’m sure a few are around. I can’t remember the last time I caught an undersized jewie in the Brissie. All the fish I’ve been finding lately have been over 85cm, which has made for some exciting sessions. 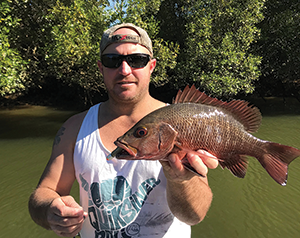 It’s unusual to find so many bigger fish in the Brisbane River and so many small fish in the smaller rivers and creeks around Brisbane. Tailor are feasting on the big bait schools winter brings. They are in a range of sizes and the biggest I’ve encountered was over 60cm and caught while deep jigging for jewies. Plenty of 40-50cm fish have been around for those who like eating them. I love a feed of fresh tailor, so always throw a couple in the Esky. August will be a great month on the water for anyone keen on fishing Brisbane’s rivers and creeks. All the winter species will still be on the chew and towards the end of the month a few cranky mangrove jack will be getting active again. I hope to see you on the water.